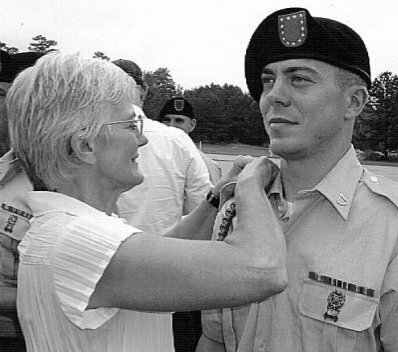 Private David Ferrill enlisted in the armed forces at age 26 and performed his basic training in Ft. Benning, home of the infantry. There are many reasons that allure a person to consider signing up with the armed forces: signing bonus, assistant funding for higher education, family tradition or even just obligation Private Ferrill, however, felt that he wanted to be apart of what he calls a calling of a generation. He grew up in the small and mostly quiet town of Livingston, TN. Presently, Private Ferrill finds himself serving a term in Iraq. While leaving his family behind is by far the most burdensome aspect of becoming a soldier, he finds positive reinforcement in the bonds created with his fellow soldiers serving alongside him overseas. These bonds continue to evolve into friendships with such devotion that they will endure long after the war has ended. 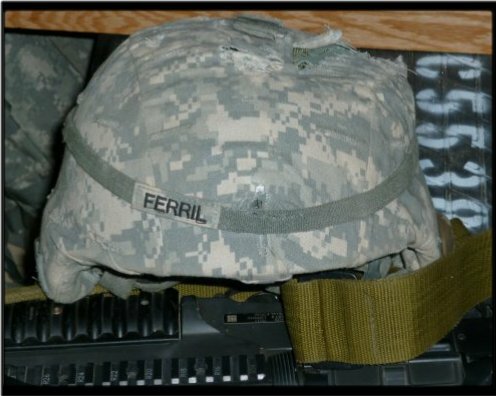 Even though Private Ferrill will not be returning home from his deployment until sometime in early August, he was still generous enough to do this interview and donate some of his precious down time to allow me to write this blog. Hopefully, you will get some benefit from this glimpse into Private Ferrill's feelings and thoughts as he answers a few of my questions. 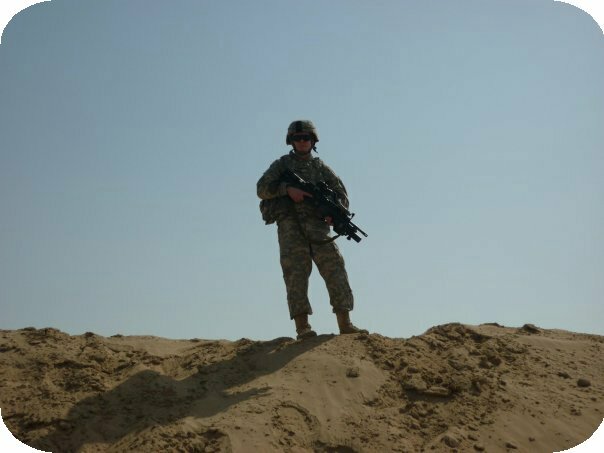 Find out what he thinks of the news media's depiction of the War in Iraq and what the Iraqi people think of our American soldiers. Question: Are there any elements to being a solider that have surprised you? Answer: I didn't really know what to expect once i got deployed. All i ready had to go on was what i had seen on TV and the news. it turned out that it was nothing like what i thought it was going to be. for example, anytime you make a shot, you better be able to answer for that shot and had better exhausted every alternative to deadly force before you made it. Question: How do you think the people overseas view us Americans in your experience? Answer: I can't really answer for the rest of the world, although i don't think it is very highly. in Iraq. However I know that every time we drive down the road, the children run to the side of the road and wave like we are a parade coming through. if you ask an Iraqi, they will tell you that they don't trust their govt, the Iraqi police, or the Iraqi army. But they trust an American soldier. Question: What frustrates you the most about the American People in general? Answer: I can't say that i have a problem with the American people. Even the people that don't support the war do seem to support taking care of the military. The thing that frustrates me is watching the news back home. I hate the way that the war is portrayed so negatively in the media. Question: What luxury do you miss the most from home? Answer: I know this will sound funny but i miss a nice cold glass of milk. The milk that we have here comes in cartons and doesn't expire for like ten years. I don't know how they make like that, but it tastes horrible. oh yeah, and mom's cooking. Well readers, that concludes our interview today with Private David Ferrill. On a personal note I want to take this time to thank my long time friend Private David Ferrill for answering my questions and dealing with my multiple emails. I appreciate you, and I believe that you are representing The American soldier well with your characteristics of honor, intelligence, courage, and tons of heart. You are the real deal my friend. You are the stuff Heroes are made of. that's a great. i'm so glad you took the time to do this for my husband as well as others you have interviewed. This is awesome! It's nice to hear it straight from one who is out there and knows what the war is all about and doesn't mind telling us like it is. Great Job. Good to have insight from those on the ground! How nice that he took the time to give you an interview! It was very nice to read and know how they feel. Please let him know that what he is doing is important to some of us and we do appreciate all that he does for his family, for us and this wonderful country! !